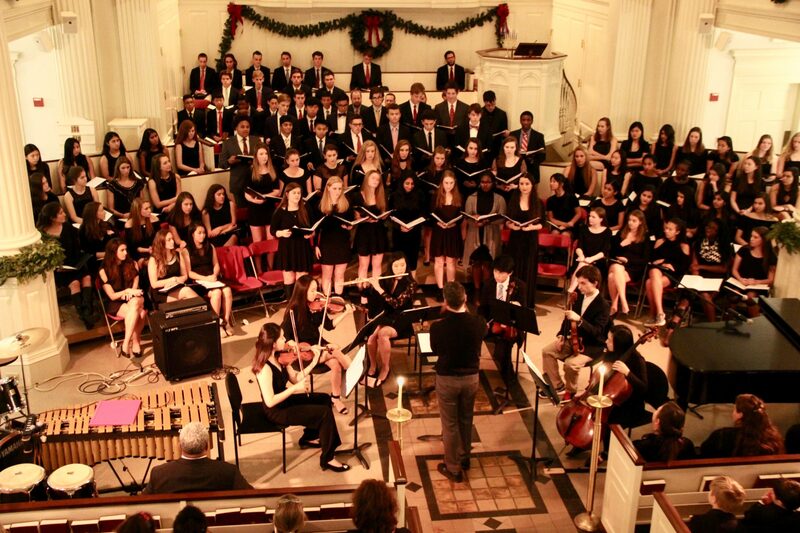 Usher in the holiday season with an offering of musical splendor from Middlesex students and faculty. Highlighted by the performance of a choral masterwork, the concert features the Small Chorus, Chapel Chorus, and Faculty & Staff Chorus. Also performing holiday selections are the Jazz Orchestra and Chamber Ensemble. This candlelit event invites all spectators to reflect on the beauty of the season. The whole school gathers to hear the music created by over 150 Middlesex students and teachers.